There are creative, lovely ways to add indirect lighting or lighted decorative accessories to your home. 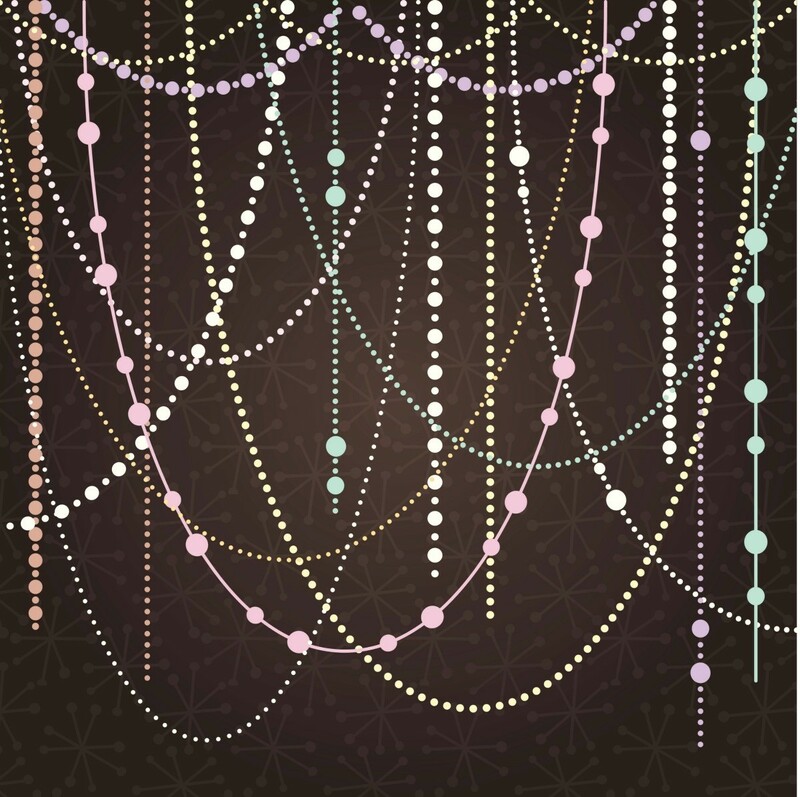 This is a guide about ideas for making lighted home decor. I found these cute little wagons and I just had to have them to make for two friends and co-workers for Christmas. I bought one in blue and one in pink. The wagons cost me about $12.00. I had spanish moss already and I used 2 strings of 50 clear light mini Christmas lights which I already had also. I bought the flowers at the Dollar Store which cost me about $6. The total cost was about $20.00 by the time I got everything for both gifts. Approximate Time to Complete: was about 30 minutes for each wagon. Line bottom of wagon with a layer of the Spanish moss. Add the Christmas lights over the Spanish moss making sure the plug in for the lights is on the back corner of the wagon so it will be hidden. Then lay another light layer of Spanish moss over the lights to kind of hide them. With the flowers you start by cutting them all off the bouquet stem at the bottom of the stems (I used the pliers with the wire cutter). 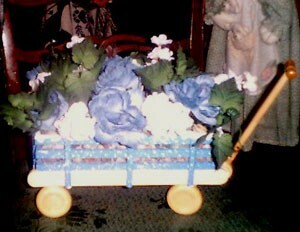 Once you have all the flowers cut, then you start inserting them into the wagon (this can be a little frustrating at first until you get a number of them inserted, then tend to fall over at first) . I arranged the flowers as I went, changing them around till I found the right look that I wanted. 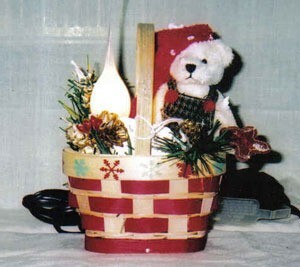 It is an easy but dramatic looking craft project that makes great gifts. And you feel really great when you give the gifts and the recipients can not believe you made it yourself and they absolutely love your gifts. I am interested in creating a lighted brick. I saw the brick and it appears there is a hole in it and lights are inserted into the brick through the hole. The hole then appears to be filled with something. Does anyone happen to have instructions for this brick? It is then wrapped with lovely transparent ribbon to create a lighted package. Thanks a million for your help. I believe you're talking about glass block "bricks". We were given one for Christmas, but I have seen them everywhere while shopping this year. They are beautiful. I would think you would only have to drill a hole in the side of a glass block, push the lights thru, and then use a removable putty to plug the hole so that your could swap out any burned out bulbs later. The ribbon would hide the hole, if you left it open. You can likely get the blocks at any home improvement store. Hope that helps! We made these last year! The glass bricks can be found at any home improvement store and are around $3.00 each. We had to use a special drill bit to drill a hole in the glass. This is the hardest part and we broke one or two in the process. For the lights, the best ones are at Dollar General or other discount store. You'll need the 25-bulb strand and you'll specifically need the ones that only have a plug on one end. Dollar stores usually carry these because they are cheaper to make. Last year, Target only had the ones that had plugs on both ends. We left the hole open and put it in the back. As the previous posters have stated, what you are talking about it fairly simple to do. You have to use a glass (will specifically say for glass or ceramic tile)drill bit and go about the drilling very slowly. Use a bit of oil around the drilling area to prevent the glass and bit from overheating somewhat. Going slow is the key to not breaking/cracking the glass. If you do several, the bit will dull after 3 or 4 and require replacement. The hole need not be plugged as the lights will not come back out once they are inserted. Most lights will require a half inch hole, thus get at least a 3/8 inch bit...or half inch if you can find one. With a 3/8inch bit, you can wiggle the bit around and make the hole big enough to accept the light strand. To remove the lights when they burn out, you may need needle nose pliers to wiggle the sockets out the hole again. 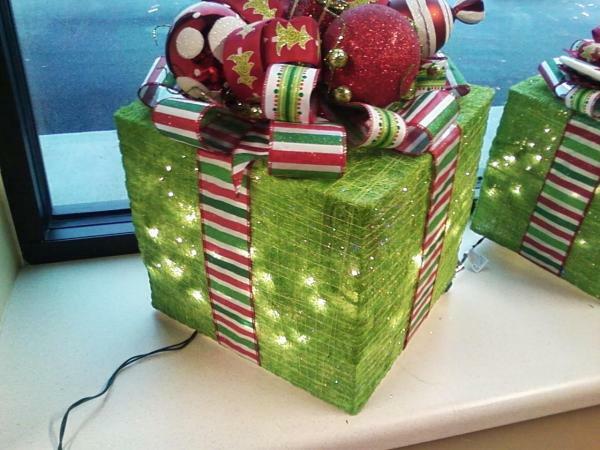 You can decorate with the ribbons as a package and toppers that you find at the dollar store. Or glue transparent paper or tissue over one side, pictures, letters to spell names, etc. The options are numerous. These are great gifts and once you get the drilling down, so easy. Have fun;. On Carol Duvall's HGTV craft show a few weeks ago, she had a segment about glass block lights. To find the instructions go to hgtv.com, click on Shows A-Z, on the far left side near the bottom click on Carol Duvall, the enter the episode #CDW-702. The lights are beautiful. Maybe this will help. Good luck! I purchased one of these lighted glass blocks, and found out how to make it myself. You need to get a glass drill bit and drill a 1/2 " hole in the side of the brick. I do it in the middle so that the ribbon will cover it up for the most part. Then you feed some small christmas lights through the hole. This is the most tedious part. I bought one with 25 lights in it, but when I went to buy the lights for the one I was making, I could only find 50 lights. I got them on sale after christmas for 1/2 off. I also got ribbon which was wired after christmas for 1/2 off. If you buy the lights that are end to end, you will have one extra end sticking out of your brick, and you have to feed the lights into the brick by folding them in half and feeding in very tediously so that both ends are sticking out of the glass, unfortunately, those were the only white lights, with white wires that I could find. I also bought white lights with green wire, and they only had the plug in end. It was easier, but the look is not as good as the white ones. I have not tried it with multi color lights, but you could. After I fed the lights through I then did the wired ribbon. I am making them for Valentines day to sell for extra money. SO I used red, gold, and white wired ribbon. I have never done this type of ribbon before, so I had to play with it a little to figure out how to make it look good. 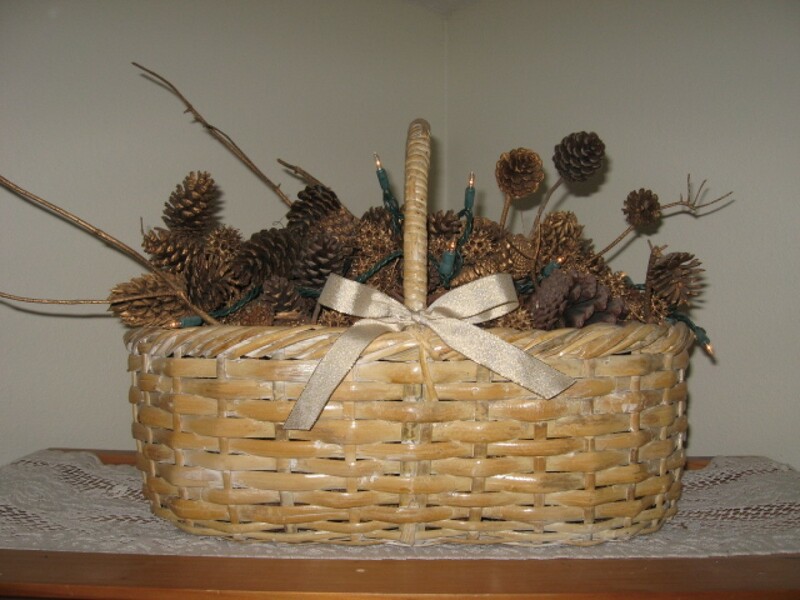 You will need some florist wire, or twist ties as you work to form your big bow. I wrapped the box first, package style, then I wired on the bow. After the bow, I tied a piece around the base of the bow, so that it looked like the bow was done in one easy step. It really is not as hard as it sounds. You may add any type of trinkets to accessorize.I am using hearts and flowers (fake of course) for Valentines. I am leaving mine out all year round, and changing the accessories for the seasons. All of this cost me about 5.50 to make with my sale purchases, and I am selling them for 20.00. Not a bad investment! Good Luck. here's a pic of one of several I've made. The lights I've used do come from the dollar store. they aren't the continuous strand but the icicle type...they work fine. white wire is best. Do not remove the "glue" from the edges of the glass block. it helps hide the wires inside. I've also made them where they stand on their side so the clear side faces forward..those I made with cut out letters to spell name, etc. A piece of tissue paper glued over letters obscures the wires in this case. I have my glass brick with the hole drilled in it. I also have a strand of 35 lights with a white cord. Problem is it looks like WAY too many lights to fit into the brick which is about 6"x8". Any suggestions? In case MarineWife5 is checking this website, please tell me which Dollar Store you purchased the lights at. The only thing I can find is a rather bulky 35 lights strand. Just check the page http://www.fluxwall.com and their solution of the problem of lighting the glass block walls. WOULD LOVE TO DRILL THE HOLE WITH A HAND DRILL CAN IT BE DONE? I was at my doctor's office the other day, and they had these in the window. I see it is not glass, but some kind of wire or screen. These are so cute. I couldn't tell you how to make it, but I loved it when I saw it in the window! Here is a link to the blog that has the tutorial for the gift packages. 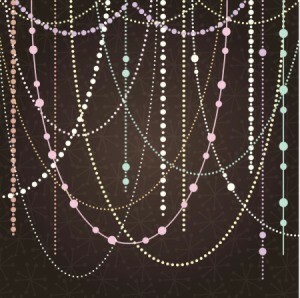 Does anyone know where I can buy single nightlights on a cord to put inside the blocks that I am trying to make for nightlights? I've seen the single light blocks at craft fairs and now that I want to try making some, I can't seem to find the single lights for them! Why don't you use Christmas tree lights on a strand? After Christmas you can get them for 50 percent off. Even before Christmas 20 stringed lights at Walmart are only 1.98. That should more more than enough for a night light. I just bought three sets for a project. I found mine at Dollar Tree, but I'm sure they would have them at Michael's or Hobby Lobby.